A legendary record from one of the most unique Latin groups of their time! 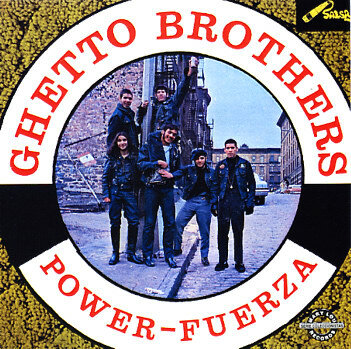 In an early 70s world where many Latin combos were going for class and poise, the Ghetto Brothers moved in another direction entirely – working here with a fair bit of electric guitar alongside more familiar Latin rhythms – all to push along some wonderfully soulful vocals! The record's got a very different feel than most east coast Latin work of the time – one that's a bit like some of the Chicano soul of the west coast, but not nearly as smooth, and with a definite nod towards both funk and singer/songwriter work of the mainstream! The guitar's really upfront in the mix – riffing off at the start of most tracks – and the vocals have a slightly sweet quality, supported by harmonies from the rest of the group at times – making for a wicked blend of modes that's extremely compelling. A record that's as filled with soul and feeling as it is with hard-edge groovers – featuring titles that include "You Say You Are My Friend", "Ghetto Brothers Power", "I Saw A Tear", "Girl From The Mountain", "There Is Something In My Hearth", "Got This Happy Feeling", and "Viva Puerto Rico Libre". © 1996-2019, Dusty Groove, Inc.